Fruit Roll Up, the real kind. A whopping thank you to Costco for introducing my kiddies to the world of bulk junk. Certainly, there are items that may be great to purchase in humongous quantities (that would typically carry the standard individual through a world disaster of epic proportions, yet would get my family through no more than one week… I’m talking chicken nuggets here), can we stop pushing food that has never seen the light of day, on children? I’m no health nut myself; I have been known to eat frozen yogurt with pretty much every single topping offered, for “brunch” (eh, em, yesterday) (oh, and to the teenage college bro who rang my purchase up… save your “holy jesus” expression, while checking out the price total, for someone with shame… I obviously set the daily record for “heaviest yogurt assembled”, so hand over the change and get back to drafting up your beer pong dream team. thnx. love, the jealous mom who loves beer pong.). However, when we ended up with a BARREL of fruit roll-ups (do they multiply in the closet – how have we not gotten through them?) it occurred to me that there must be better ways to let these kids enjoy the snacks, in a healthier fashion. Line two 12×17-inch rimmed baking sheets with parchment paper or silicone baking mats. Divide mixture between pans, spread with an offest spatula (or spoon) to create an even layer. Transfer leather to sheet of parchment/wax paper on top of a cutting board to slice into desired sizes. Roll ’em up. You can use any type of fruit you would like. I tried strawberries, blueberries and raspberries mixed (I didn’t have 4 cups of one). I halved the recipe and used a larger baking sheet. Therefore, it didn’t spread evenly to the outer edges – chill out, it was fine. Your blended mixture should be thin enough to pour, yet not so thin that it won’t hold some sort of shape on the pan. I poured mine onto parchment paper, spread to a “rectangle of sorts” and just focused on the thickness. It held its shape just fine. *See Below. I strained. My little ones aren’t going to love a mouth full of fruit seeds, yet if you blend with one of the new blenders, that really puree everything and are too expensive for me to own, it may not be necessary. Definitely rotate the pan once. I used a pizza cutter to slice the strips. It was easier. **If you find that you baked it for too long and it’s too dry to bend, without snapping, I read that you can spray with water and let it rehydrate itself. If you really want to be “the fun one” – gently press a cookie cutter into your cut out leather before rolling… remember the pop out shapes we had?? I wanted to be the “in bed and fast asleep” one, so I didn’t. 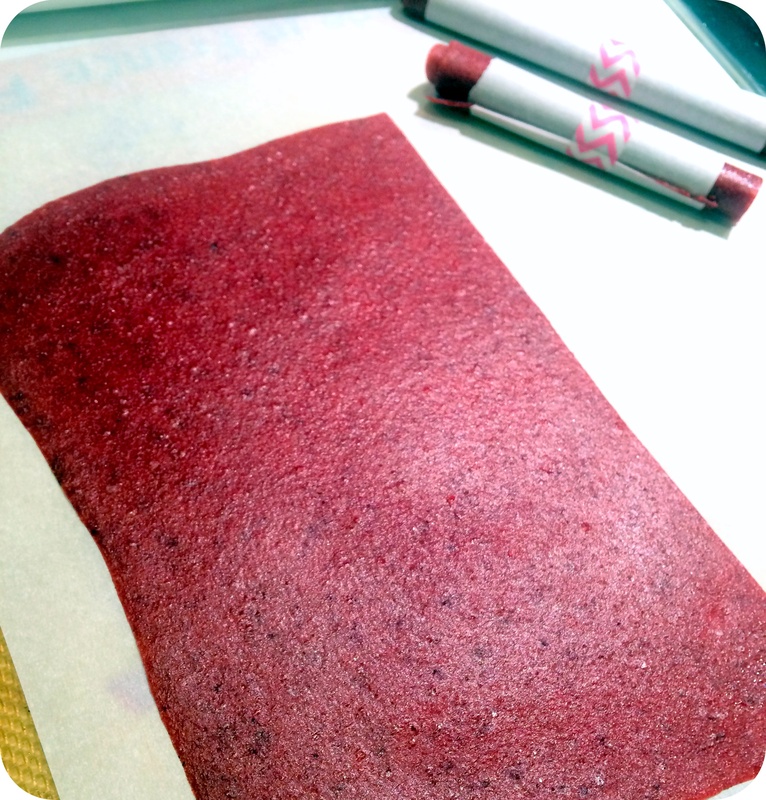 I did find a recipe that uses spinach and they swear you can’t taste it… may be my next fruit leather adventure. Recipe Credit: Everywhere on the internet. 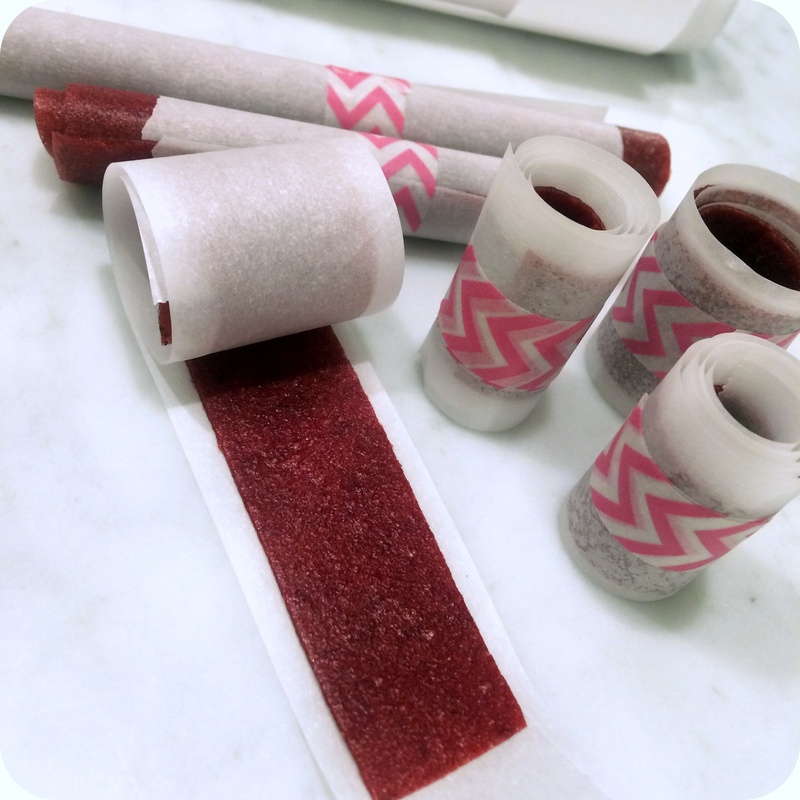 I just read homemade strawberry fruit roll ups. I,m more than alittle bit amazed. I think you should get a table at the new canaan sidewalk sale. Monogramed snack pocketbooks with fruit roll ups. Martha Stewart is paling to me. I just read homemade strawberry fruit roll ups. Ian more tan a little bit amazed. Get a table at the new canaan sidewalk sale. I can babysit. Martha Stewart is paling. Can I be an investor.